1527. While the Papal city of Rome burns, brutally sacked by an invading army including Protestant heretics, two of her most interesting and wily citizens slip away, their stomachs churning on the jewels they have swallowed as the enemy breaks down their doors. Though almost as damaged as their bellowed city, Fiammetta Bianchini and Bucino Teodoldi, a fabulous courtesan and her dwarf companion, are already planning their future. They head for the shimmering beauty of Venice, a honey pot of wealth and trade where they start to rebuild their business. As a partnership they are invincible: Bucino, clever with a sharp eye and a wicked tongue and Fiammetta, beautiful and shrewd, trained from birth to charm, entertain, and satisfy men who have the money to support her. Venice, however, is a city which holds its own temptations. 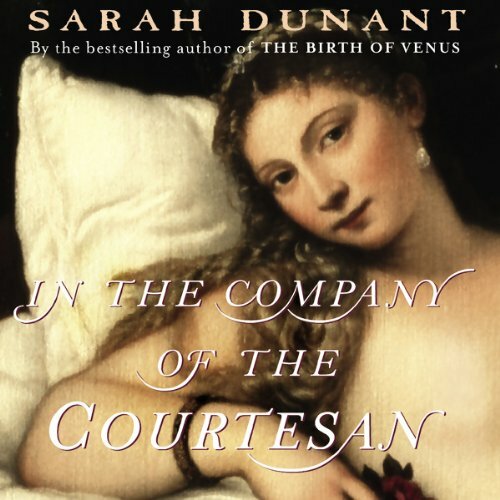 From the admiring Turk in search of human novelties for his Sultan's court, to the searing passion of a young lover who wants more than his allotted nights. But the greatest challenge comes from a young blind woman, a purveyor of health and beauty, who insinuates her way into their lives and hearts with devastating consequences for them all.